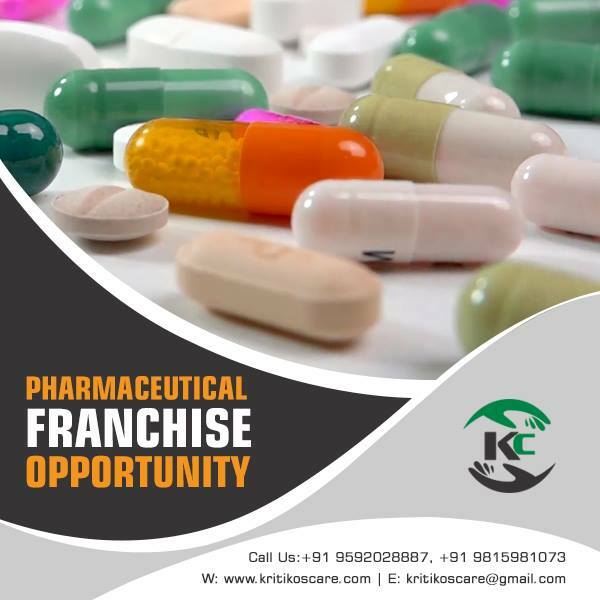 Critical Care Franchise in Odisha- Kritikos Care is a reputed critical care medicine franchise company, popularly known for its finest quality intensive care range. Our mission is to bring an advance resolution in the field of pharma franchise business along with the vision of a healthy environment. We, Kritikos Care are an ISO certified pharma company, looking for the enthusiast medical professionals from Odisha who are looking establish themselves in the pharma sector. Therefore for them we Kritikos Care brings the business opportunity for Critical Care Franchise in Odisha. Our critical care medicine PCD company is headquartered in Panchkula, one of the famous districts of Haryana. Kritikos Care caters a huge demand for the pharma industry with our high-quality intensive care products. We have our own manufacturing units where we shape our every medication as per the guidelines of GMP and WHO. Kritikos Care is now in Odisha and offering the best business deal to become our partners by joining the Critical Care Franchise in Odisha. We, Kritikos Care really take good care of our pharma franchise associates. Therefore we always keep them up to date with the latest pharma marketing techniques and offer them various pharma benefits which help them a lot to grow in the pharma market. To know more regarding the PCD Pharma Franchise in Odisha, contact us at +91-9592028887, 9815981073. You can also write to us at kritikoscare@gmail.com. Critical Care medicines or so-called intensive care medicines are quite helpful in saving someone from life-threatening conditions. These critical care drugs are used by many hospitals and physician clinics. The demand for this particular medication range is quite high in Odisha and other states of India. This also raises a bright scope for Critical Care Franchise in Odisha. According to a survey, the death rate due to road accidents in the Odisha since 2014 is rising gradually. In the year 2014, a total of 3931 persons lost their lives. Whereas it reaches to the 4,303 in the year 2015, 4.463 and 4,790 caught by a road accident in the year 2016 and 2017 respectively. According to a newspaper report till 2018, there are 1,04,713 accidents had taken place in Odisha in which 43, 312 people died and 57, 684 people got badly injured. Therefore, the demand for Critical Care medicine is gradually increased from the last decade. Therefore choosing the Critical Care Franchise in Odisha will prove best for your PCD Franchise business. Every time you want to be on the top 10 PCD pharmaceutical franchise companies list, you need a lot more hard work and teamwork. In a role, you must have key skills. Kritikos Care has become India’s best manufacturer of critical care medicines. With our affordable range of critical care medicines, we serve our customers for many years. Our brand name and other franchise rights can be used. We have over 500 products in our portfolio and they are all standardized in terms of quality. For our investors or franchise partners, we have a much more advanced franchise platform. The critical care products we produce are the most effective and meet the expectations of the customer. In the pharma sector, Kritikos Care is a well-known name, the name is best known for its wide range of high-quality critical care products. We are involved in ethical business practices and therefore, we have complete work transparency. That’s why our pharma franchise partners in Odisha rely on us when it comes to getting the fair franchise business deals. Here are the following benefits for opting the critical care franchise in Odisha. Kritikos Care delivers all our products on time. All intensive care products come with hygiene and high-quality packaging. Our company, Kritikos Care provides associates with promotional and marketing backup. Our franchise associates get a beautiful incentive to meet annual goals provided by our company. Our associates will obtain the best monopoly rights so that they can work freely in their area with less competition. Our franchise partner receives the complete update and information about the industry’s latest launch and development. In this competitive sector, we ensure that the associate stays behind. All the products we offer are highly efficient and produced using the best raw material and technology. Kritikos Care is in partnership with one of the best transportation company based in Bhubaneswar Orissa, India. Our logistics partner provides the top-quality service which has made our pharma franchise dynamic in Odisha. Our logistics cover all the districts of Odisha.